Has NASA thought about a hub on Mars, where rovers could branch out of? Now all these missions had to have their own power supply(and more). Why did NASA not send up a kind of energy hub that is fixed where multiple rovers can attach to and branch out from there? The benefit would be that not all rovers need to bring their own power/solar panels but would just use a battery and could charge up at the hub. The drawback would of course be that they could all only explore a region around the hub. But since it seems that a lot of missions are at similar latitudes and I would assume similar latitudes bring similar possibilities to explore? Of course you would want one around the poles and one around the equator and maybe one in between. Has this been considered? Is it not useful because each location is so very unique and a different question could only be answered by this location that was selected? Or is it technically too difficult to maintain such a hub or what drawbacks are there that this was not done already? Relying on a hub for power not only limits the area that rovers related to a single hub can cover, but it also adds an extra layer of complexity and risk to an already risky endeavor. Missions are designed mostly independently to optimize the chance of success. If a self-sufficient rover mission was one point of failure, then a rover that relies on a hub can be said to have two points of failure. If either the hub or the rover has an issue, it could jeopardize the mission. Even worse, since the power is centralized to a single hub, each mission adds to the potential losses incurred if the hub goes down. If you have 20 rovers sharing a single hub and the hub fails, then you just lost 20 missions instead of one. That said, a hub strategy could make sense in a certain context. For example, if your goal was not scientific research but construction of a habitat, it might make sense to have several rovers that share a central hub. The rovers would operate over a smaller area, and you could have one or more rovers with the purpose of checking in on failed rovers (alluded to briefly here). You could even have a drone that could fly overhead to see if a failed rover was in an unsafe condition for retrieval. Not the answer you're looking for? Browse other questions tagged mars probe or ask your own question. Why hasn't NASA planted a stationary lab on Mars yet? Are there any designs for a Mars Habitat made out of stone? Could a small Mars Cycler be used for repeated sample and big data transfers? 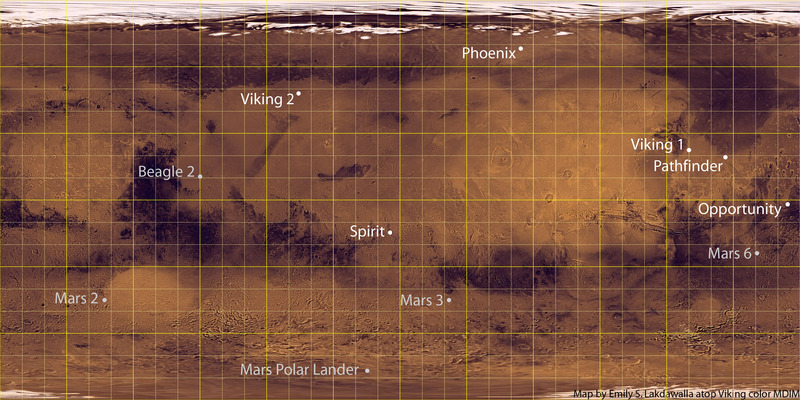 Are there “rover-friendly region maps” for Mars? What about the Moon? Can you land a ferris wheel-like ship on Mars ….Sideways? Why are meteors, asteroids and comets not used as propulsion for spacecrafts?